They're both 2-bay NASes based on the Marvell Kirkwood SoC, like the sheevaplug. They come with their own flavour of Linux, but this can be thrown away and use standard Debian instead. Set a load address for the initrd image (thanks Jisakiel). 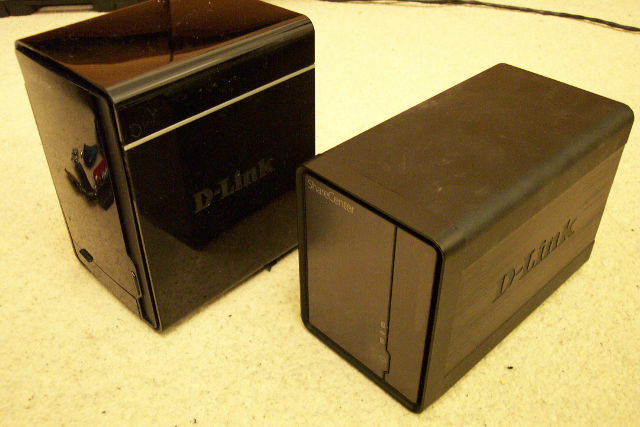 D-link u-boot requires specific addresses to load the initrd (thanks Niclas Borlin). The Keep the original firmware page had some mistakes, hopefully now fixed. Change the Keep the original firmware page to use Debian kernels instead of rolling our own. Add notes to userland configuration on enabling power recovery---the in-kernel version has been broken for some time. The main difference between the two is the case. The DNS-325 is a reasonably swish-looking metal case with drives slid in from the front. The DNS-320 has a much cheaper case with drives that go in the top like a toaster. The innards are approximately the same. The DNS-320 has half the RAM and is underclocked at 800Mhz, which I'm not sure is supposed to be possible. It could be that it was supposed to have a 88F6192, but something happened late in development. Maybe other DNS-320 revisions do. Appear to be microcontrollers that control power on/off and other miscallaneous functions, but hard to tell for sure. Dissassembling a DNS-325 is very easy, and no "warranty void" stickers in the way. The DNS-320 is slightly more involved, but still has no stickers in the way. There is an unpopulated space for a serial port standard 0.1" pitch header. The serial port runs at 3.3v TTL so requires either a MAX3232 adapter or a USB serial adaptor designed to run at 3.3v. A TTL-232R-3V3-AJ cable is reasonably cheap, and a headphone jack for serial can be added in a reasonably neat fashion. The header is the center of board so a header can be soldered on the top side without getting in the way of the HDDs. Using an old CD-audio cable I fashioned a header to stereo headphone jack cable. The headphone jack is mounted by drilling a hole next to the lid catch. There is no space for a proper header connector whilst the case is closed. I soldered wire directly to the motherboard, and put a stereo jack on the other end, looped through and taped to the back of the case. To communicate to the NAS, open the serial port at 115200 baud, 8-n-1, flow control off. You should be able to see it boot, however D-link put in some petty measures to stop you tinkering. If you want to stop u-boot booting, then press space then 1 when prompted to press any key. To get a prompt once the original firmware is booted, type the break-in code 5784468. The JTAG port is a 2x5 pin header, the same as a DNS-323. It is described here. Stefan Herbrechtsmeier says "The image and table have different signal names for pin 2 and 9. I made the mistake using the image and not the table when I solder the adapter for my JTAG debugger. Because of this I can not reset the processor correct and have some trouble to reflash the memory." On the DNS-320 it's JP4, on the DNS-325 it's JP2. Both are next to the serial console header. There is space for 2 extra headers resembling serial ports, JP1 (3.3v) and JP2 (5v) and a button (SW1). These are connected to the Welltrend processor and probably not much use. There is a GPIO pin available on the space for U5, possibly where the G751-2f would have gone? There is a space labelled U11 on the underside, which appears to expose I2C. There's various ways to go about installing linux, depending on how fond you are of the original firmware. All of thse require access to the serial port, as explained above. 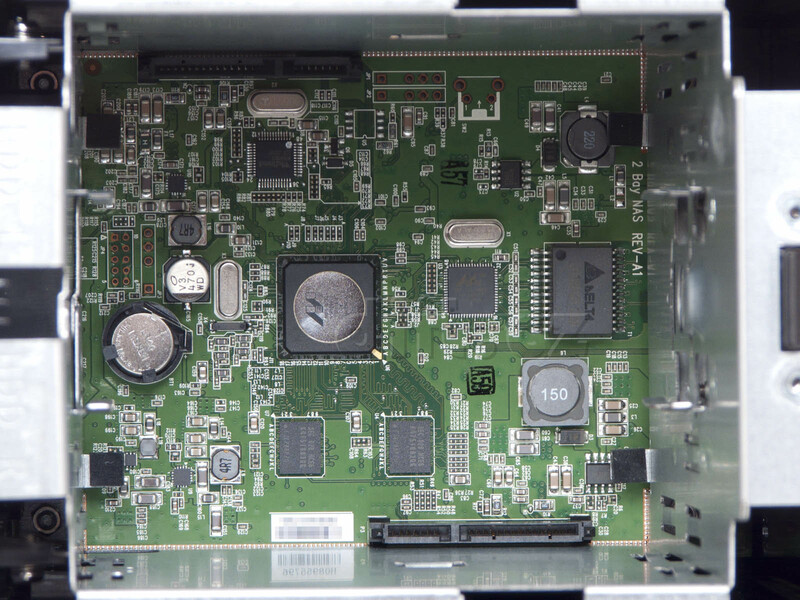 It may be possible to build a firmware image without, however the risk of bricking the NAS is much higher. I don't dare tell you how to do that. Once you have Debian running on your NAS, you will want to look at the Userland configuration page.